The classrooms and schools that we grew up with are quickly becoming a thing of the past. Education is constantly evolving and shifting and with these changes comes online learning, blended with traditional classroom environments. It is not a new concept, but it is now becoming increasingly prevalent. In fact, as many as two-thirds of districts in the U.S. are offering some online or blended program, according to a 2012 report from the Evergreen Education Group. Blended schools, and blended programs in districts, are a fast-growing, high-profile segment. The launch and continued success of an online learning environment requires support from administrators, teachers and the community. It needs to be designed with a plan in place for continued growth and sustainability, and it should include not only hardware specifications, but content and curriculum specifications. Plans need to be in place for teacher training and professional development. It also requires performance metrics to ensure that the program can be evaluated for success. To ensure that online education initiatives are successful, districts need to be able to gauge student attendance and engagement. Student progress needs to be closely monitored and shared in real time with teachers to ensure that assistance can be provided where needed. Online learning environments should collect data for analysis and comparison against success metrics and benchmarks. Districts should be able to conduct a cost/benefit analysis to determine that the program is generating an adequate return on the investment. The online learning program should also be able to be retooled and tweaked for subsequent years based on the findings. When planning the development of an online learning environment, districts should develop an outreach strategy aligned to their growth and sustainability strategy. They should develop outreach materials to help students and families understand how the online programs work, encourage participation, and frequently evaluate their outreach program to gauge success. The evolution of blended learning environments and the introduction of online learning into the traditional learning environment is clearly the wave of the future for school districts. 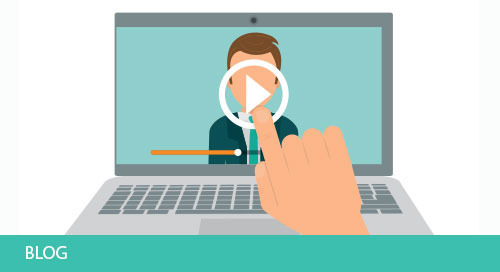 However, simply handing out tablets isn’t an “online learning strategy.” When embracing online learning, it’s essential that districts consider the elements above and ensure that they’re incorporated in the development of their online learning programs. Dr. Christopher Harrington is the President of the eLearn Institute, the Chief Executive Officer of Harrington Education Associates, LLC., and the Director of Bridges Virtual Education Services, which is a partnership formed by the Quakertown Community School District (QCSD) and the Bucks County Intermediate Unit #22 in Pennsylvania.